After resurrecting his career under head coach Jim Harbaugh, former No. 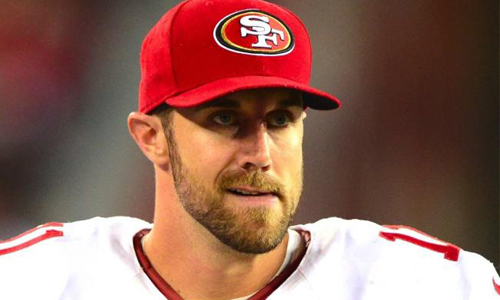 1 overall draft pick Alex Smith is headed to Kansas City after the 49ers agreed to trade the quarterback to the Chiefs. Since the trade can’t officially be completed until March 12 when the 2013 league year begins, terms of the deal were not immediately available. 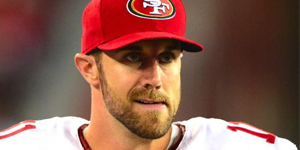 Smith lost his job to Colin Kaepernick after suffering a concussion in a week 10 tie against the St. Louis Rams on November 11. Kaepernick relieved Smith in that game and started the following week against the Chicago Bears on “Monday Night Football” where he threw for 243 yards and two touchdowns. Kaepernick eventually led the 49ers to the Super Bowl where they lost to the Ravens 34-31. The decision to start Kaepernick in place of Smith was a controversial one among sportswriters and fans, but Harbaugh stayed the course and felt that Kaepernick gave the team the best chance to win. With no one second guessing Harbaugh’s decision now, the 49ers decided to deal Smith, who before his injury completed 18-of-19 passes for 232 yards and three touchdowns in a “Monday Night Football” win at Arizona on October 29. The 28-year-old Smith has spent his career in San Francisco and experienced a number of ups-and-downs, but the Chiefs and new head coach Andy Reid saw a player capable of stepping in and running their offense as well as providing much needed leadership in the locker room. The Chiefs, who own the No. 1 overall pick in this year’s draft, now have the option of drafting a quarterback in the later rounds who can learn under Smith. Names such as Matt Barkley of USC or Geno Smith of West Virginia have been mentioned as options for the Chiefs.